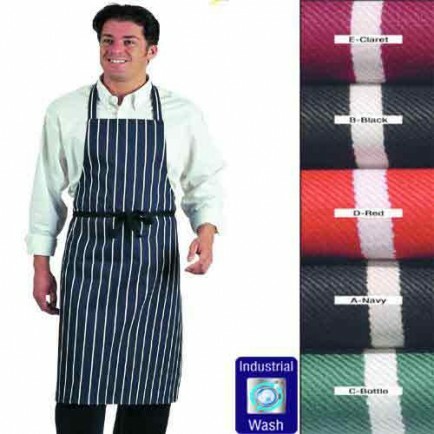 A traditional striped butchers style cotton apron without pocket. 100% pre-shrunk Cotton. 36 (91cm) wide by 40" (102cm) long. Colour fast for minimum colour loss. Reinforced tie tapes. Can be washed at up to 75c to remove stubborn stains."